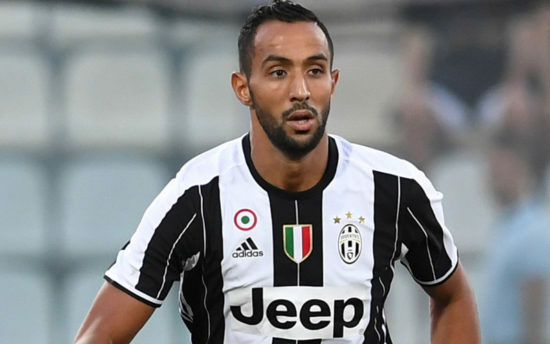 Italian giants, Juventus has reportedly turned down the Gunners £35 million bid for Moroccan international, Mehdi Benatia. The Moroccan has been a rock at the back for the Old Lady so far this term and has been a regular under Massimiliano Allegri since the shocking departure of Leonardo Bonucci to rivals AC Milan in the summer. The former Bayern Munich defender has attracted the attention of Arsene Wenger after series of impressive displays and has been identified by the French tactician as the man to fix his leaky defence ahead of the second half of the season having conceded 23 goals in 19 Premier League games. Reports from Italian publication Calcio Mercato understands the Gunners submitted a bid in the region of £35 million for the Moroccan ahead of a potential deal in the winter transfer window, but the offer was rejected by the Turin club and the Gunners might have to explore other options with Juventus not ready to sell. The 30-year-old joined Juventus on a season long-loan in the summer of 2015 from Bayern Munich for a reported fee of €3 million with an option to buy for an extra €17 million at the end of the season. However, the Italian giants exercised the option to buy permanently last summer and extended his contract until 2020. He is often deployed in a centre back position and he is known for his tackling, physicality, leadership, technique and ability to play out from the back. The former Roma defender has featured in 14 games across all competitions for the Old Lady and has scored two goals.